In our prayers we always thank God for you. We thank him because we have heard about the faith you have in Christ Jesus and the love you have for all of God’s people. the hope you have had since you first heard the true message, the Good News that was told to you. Throughout the world, this Good News is bringing blessings and is spreading. And that’s what has been happening among you since the first time you heard it and understood the truth about God’s grace. You heard it from Epaphras, our dear friend and co-worker. He is a faithful servant of Christ for us. He also told us about the love you have from the Spirit. 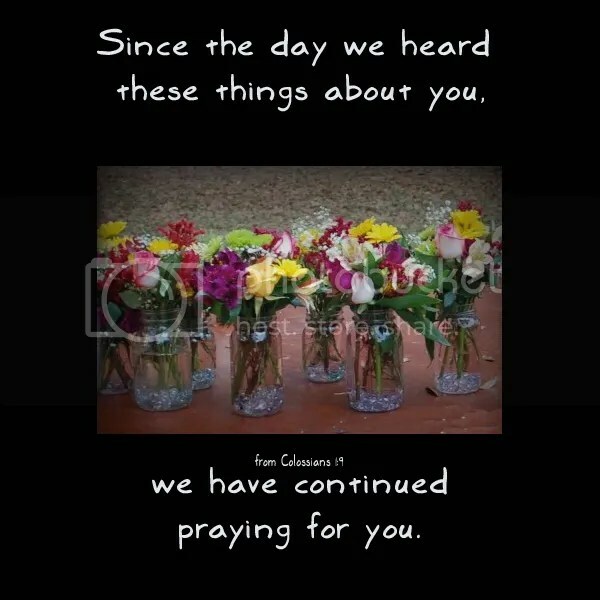 we have continued praying for you. I like this web blog it’s actually a master piece! Glad We detected this kind of on yahoo. We thank him because we have heard about the faith you have in Christ Jesus and the love you have for all of God?s people.